Discussion in 'Canada' started by sly_karma, Apr 11, 2018. Lots of Aussies come to western Canada each winter to ski or board, and quite reasonably wish to try the local food and beverage options. It comes as a surprise to many to find that there is a thriving wine industry in a country they mostly associate with ice and snow. British Columbia is by most accounts, the most northerly wine producing region in the world, so its wines can be somewhat different from what visitors are used to drinking. This thread aims to provide some background and context, some recommendations and tips for visitors, and hopefully some insight into this interesting but little known corner of the wine world. Tanuki and SuskiQ like this. Not quite, there are actually wine growers in Scotland which is much further north, as reported in this article: Scottish wine branded 'undrinkable' by critics. I’ve had a great time exploring some of the lesser known areas as well outside of the Okanagon. Cowichan Valley (lunch at Unsworth vineyard was fantastic), Pender Island (Sea Star) just to mention a couple. First, some basics. Visitors to western Canada will almost exclusively see wines from BC. There is also a sizeable wine industry in southern Ontario, plus small ones in Quebec and Nova Scotia, but due to the almost impenetrable interprovincial trade and liquor laws, these are hard to find out west. The most important wine region within BC is the Okanagan Valley - right where the resorts Big White, Silver Star, Apex and Mt Baldy are located. There are also wines produced in the Similkameen Valley (next valley west of the Okanagan), Fraser Valley region (essentially outer eastern suburbs of Vancouver and beyond), southern Vancouver Island and the Gulf Islands. The Okanagan valley is a deep, narrow trench formed by faulting and glaciers that runs 200 km from Armstrong more or less straight south to the US border. The high plateaus and peaks to its east and west are over 2000 m ASL but Okanagan Lake is only 340 m ASL. Although the ski resorts see annual snowfalls of around 600-700 cm, the valley floor is far drier and gets only 50-60 cm. The entire region lies within the rain shadow of the Cascades range to the west, and this effect is accentuated by the deep valley, with many systems passing straight overhead without any release of moisture. In the southern part of the Okanagan, annual rainfall is as little as 250 mm and the area is classified semi-arid. The summer season is surprisingly hot and dry (highs of 30-35 C are typical, extremes to 40-42), but night brings rapid cooling and overnight lows into the high teens are normal. Winters are relatively mild, typically 10 C warmer than experienced at the ski resorts high above. Typical midwinter days are low of -2, high of +2, although there are two or three polar fronts each winter that bring temps of -15 to -20 C for a week at a time. Two critical factors make the Okanagan a viable grape growing region despite its high latitude: long daylight hours and the lake effect. Midsummer days with 16 hours of sunlight allow the vines to rapidly catch up from a late start when compared to Oregon and California. Despite the short growing season, the degree day counts for the Okanagan are higher than many fancied regions in France like Burgundy, Chablis and Champagne. Some especially warm pockets receive more heat than Bordeaux. The lakes are the other key factor. The valley floor lakes are large - Okanagan Lake is 135 km long, 3-4 km wide and as much as 400 m deep. The heat sink effect of this and the other lakes - Kalamalka, Wood, Skaha, Osoyoos - is substantial, moderating both summer heat and winter frost. The lakes generate their own cloud in winter, reducing heat loss to the atmosphere, and most critically they moderate temperature in the spring and fall when severe crop or vine damage can be caused by an untimely frost. Areas as little as 5 km from a lake will have a noticeably more severe climate, both for heat and cold. This combination of warm days, cool nights, plentiful sunlight, lakes, deep straight valley, and coarse glacial soils is an ideal combination for quality wine production. Humidity-related problems in the vineyard are rare due to low rainfall, fast-draining soils, and wind constantly channeled by the steep, narrow valley. Cool nights ensure preservation of natural acid levels in the grapes. The blessings are strictly limited, however. Areas both north and south of the Okanagan don't have the same ratio of attributes and are less able to produce quality grapes. Even within the Valley, many areas are unsuitable for grapes and remain as orchards or cattle ranches. The valley floor - where not covered by a lake - is frost-prone due to cold air pooling, but go too high up the slopes and temperatures will be too cool overall to consistently ripen fruit. Vineyards must have some southerly aspect to concentrate the sun's heat; once again most north-facing slopes still have apples or cherries planted. The overall result is that only small scraps of land have the right combination of elevation, aspect and soils to produce quality wine grapes. Crop yield must be carefully restricted in order to ensure fully ripe fruit as the growing season rapidly cools and tapers off. These factors severely limit production and the region caps out at around 2.0 - 2.5 million cases per year. There are roughly 4000 ha planted to vines and very little suitable land left for further expansion. ConnieCheeWah, Chalkie, Snowfi and 4 others like this. There are a few wineries in BC further north than the Okanagan itself. Like Scotland, results are varied. And let's cut off the whole fruit winery line of argument right now. If it's not made from grapes, it ain't wine. Visitors to BC will find most of the wine types they're used to, but the familiar varietal labeling won't tell you everything. The whites are more similar to their Aussie counterparts than the reds, but better overall quality IMHO. The natural acid retention due to cool nights preserves and enhances aromatic qualities. Riesling, pinot gris, gewurztraminer and viognier are standouts among their global counterparts, with common qualities of clean acidity, bright fruit and lifted aromas. There are also substantial plantings of Chardonnay, which as usual comes in a plethora of styles anywhere from mild and unoaked to big 100% new oak lees stirred beasties. As in Australia, the best ones are more a subtle style that balances fruit characters with touches of oak. Plenty of sauvignon blanc to be had in BC, but the grassy, herbal characters typically encountered in NZ sauv blancs are less obvious. Sometimes you'll get a big hit of the passionfruit characters found in French S.B. wines like Sancerre, but more often it will be a blend of the grassy and the fruity. The reds are where expectations are not always matched with the reality in bottle. Shiraz is the most common wine that will cause confusion and possibly disappointment for those used to big generous Aussie shiraz. The first clue is actually right there on the label: mostly, it will say Syrah. Most of us know it's the same grape with a Frenchified name. But there's a distinction. The winery is hinting to you that the wine style will be French as well, not the Aussie shiraz style. In France, syrah is most famous as the base for wines from the northern Rhone region: Cote Rotie, Gigondas, Cornas, Hermitage (older Aussie winos will recognise this name!). The region is moderately cool and the wines are cooler in character - lean, structured, reminiscent of dark berries and violets. So too are the Okanagan syrah wines; you won't find big warm Barossa style shiraz behind those labels. I can still remember when the tiny Nichol winery became the first to plant syrah in the Okanagan. It was the very early 90s and everyone thought they were mad, syrah is a warm climate grape and the Okanagan is most definitely cool climate. They planted directly below a huge south-facing granite bluff that gave off its absorbed heat long into the night, and quickly had a hit on their hands. The owners knew and loved Rhone wines and made a faithful replica that had its own richness; it's still a sought after wine today. But they knew they weren't making warm climate shiraz. I'm not suggesting you avoid Okanagan syrah wines, just don't expect them to be built like a typical Aussie shiraz. As with any experience when you're traveling, go in with an open mind and you'll be fine. You won't find a lot of straight Cabernet Sauvignon in BC, it's being supplanted by its Bordeaux cousin Cabernet Franc. Main reason is cab sauv ripens 8-10 days later than cab franc, days that can be absolutely critical as the frost-free window is rapidly closing. Franc is emerging as the signature red for the valley: it grows easily and consistently, it produces lovely bright red berry fruit aromas and rich body, and very few other places worldwide bottle it as a standalone variety. Franc also appears in the flagship red blend of many wineries, often as the principal variety. Merlot is the other key red. In warmer climates, merlot tends to be somewhat bland and used more for its smoothness and body. It's often blended with cab sauv in order to smooth out the latter's big tannins. The cooler Okanagan climate reveals a more muscular, textured Merlot. It keeps its full fruit flavours but gains much body and grit, becoming an interesting, serious wine on its own, or adding even more interest to cab franc. When a BC winery describes one of their wines as a 'Bordeaux blend', they're quite correct, but again it's not the same Bordeaux blend you're probably used to. Most Californian and Australian wineries make Bordeaux blends with the classic Medoc mix: cab sauv, cab franc, merlot, malbec, petit verdot. They're mostly founded on cab sauv, just like the famous French first growths they once sought to emulate. The BC version has come to be centred on merlot and cab franc, with smaller quantities of some or all of the others. This is the Bordeaux blend from the other side of the river, the wines of St. Emilion and Pomerol use this basic blend. Those two key red varieties behave differently in the cool climate and producers are quickly learning to exploit this. One more word on red blends: Meritage. It's a term not often seen on Aussie labels, but it essentially means Bordeaux blend. It's a made up word concocted by Californians to avoid treading on Bordeaux copyright. Some BC wineries have seen fit to pay the money and use the trademarked term Meritage on their labels. Remember it's not a french word at all, so it rhymes with heritage. There's also such a thing as a white Meritage, will be a semillon-sauv blanc blend. You'd expect a cool climate area to do well with pinot noir, and you'd be right, there are good examples produced in the valley. But not as many as you'd think, the region is dauntingly hot at times and so the cooler vintages tend to produce the better wines. The other thing is that like anywhere else in the world, pinot is a pain in the arse to grow and frustratingly inconsistent in the cellar as well. It's more subject to humidity, wind and too much sun than most other varieties. As a result, only a few wineries really put in the dedication and attention needed year in, year out to produce top pinot noir wines. The best are very good but hard to find - like anywhere. Finally, a word about Marechal Foch. This is about the last of the old hybrid varieties still being grown (hybrids were long thought to be the only varietals able to survive the cold Canadian winters, which was true - until smart people figured out the right sites to plant much better quality vinifera varieties). It's not my favourite, high acidity with some highly 'earthy' qualities, but it's a bit of history hanging on into the 21st century and you won't find this variety outside Canada. Quails Gate in west Kelowna does a good job with its Old Vines Foch, pruned to super low yields and treated to a good barrel program. If you see a Foch on a wine list, I'd suggest asking for a glass or a taste rather than committing to a bottle sight unseen. Slowman, Normo, ConnieCheeWah and 3 others like this. Agreed, wine is over rated if only the Romans drank beer instead, the world would not have been as brutal. Nah I like wine as well but as the plus 1 isn’t a big drinker I tend to grab beer on trips. Where were you? I found a really strong micro brewery culture in BC with some great beers. Unfortunately, these days, I'm gluten free and have to stay away from most of the good stuff however I was stoked to find quite a few were making gluten free beers as well. Yeah there was a great micro brewery culture and we had some great beers, but I often prefer the lighter pale ales especially when having more than one, I love bentspoke burley Griffin (helps I work 50m from the office). When I ordered the pale ales they were all stronger than I was expecting and not the same style. On a visit to Silver Star a couple of years ago now we took our taxi drivers recommendations for local wines and was very impressed to find they were very equivalent quality and tastiness to our local wines here is South Australia price point to price point. We can recommend the local Okanagan wines for sure. We were surprised how many wineries there were in the area. Also some similarities to the Otago Valley area. Alas the local IGA supermarket in Canberra which used to stock lot of interesting local wines in its liquour dept was sold out to Woolies a few years back and now it is BWS with its inteminable cat-wee NZ sauv blancs. Oyster Bay is something of a benchmark and I recall ten years ago it was maybe $18 a bottle in the IGA and we went to NZ in July 2008 (IIRC) where at the resort in Wanaka the waiter proudly announced it was on special down to NZ$32, take 20% off for the FX rate and it was OZ$26, reminding me of the school lesons about butter prices in NZ being exorbitant due to high local taxes but dumping abroad, dairy being (back then) the principal means whereby NZ could earn FX. Sure enough in a tiny shop corner liquor store in Breckenridge Summit County a few year later it was US$13 (then at parity) and the larger liquor store in Frisco had it at $12. But to complete the loop back to SK's post they had sauv blancs from WA state which by the sound of it they were like those SK describes from BC, and I loved them. Alas on visits since to the PNW, AB, CO, and OT, I have sought high and low for them again but to no avail. Everyone has their taste profile, and regional or national preferences are quite distinct from one market to another. As with wine. You've become accustomed to certain style and were seeking it out. Seasonality is a powerful factor in Canadian business and way of thinking. Lots of beers disappear off the shelves for six months at a time because their producers deem them to be a seasonal. So the range of beers available to you in your winter visit would have tended more to the heavier weights that brewers offer in winter. One that is a favourite of mine is Driftwood Pale Ale from Stanley Park Brewing. I'm usually not a fan of highly hopped beers and this one strikes a nice balance of citrus aromas and light bittering. But... it's seasonal. You might find it in leftover stock here and there. More likely to be available year round is Bowen Island Hemp Ale. Normally I stay away from gimmick brews but this one has a winning combination of hops, malt and body. Very sessionable. Last one, Whistler Grapefruit Ale. Once again it's a seasonal but if you go to their outlets in Whistler itself, you might just find it in winter. Joizus that second link. Over 20,000 ha of undeveloped but quality vineyard land! Remember in the Okanagan/Similkameen we are pretty much maxed out at 4000 ha. Not hard to understand why this is some of the most expensive vineyard land in the wine world, $500K/ha is normal at the moment. That and the tiny block sizes are why we have grape prices at $2500-3500 per tonne depending on variety. This in turn explains why a $10 bottle of Okanagan wine is about as common as a unicorn. Is this a problem waiting to happen. Land becomes expensive for new wineries, wine becomes more expensive sales slow down? Even if wine production is of no interest the climate info above is of interest from a ski/snow perspective. I liked the Canadian reds and even to this uneducated wine drinker I identified their Syrah was closer to the Heathcote/Grampians Shiraz I love than the big McLaren vale/Barossa reds that I am also fond of. And I love that. Beer is a big plus when travelling to Canada. So did I, I love craft beer and good wine, what I would like and I guess why I asked sly_Karma to do this thread (i'm sure I am not alone) was to give people a place to start. Canada, is a bit like Canberra we have an awesome craft beer culture but I want people to understand what they are ordering. Same with wine. The land prices haven't deterred a crap ton of baby boomers with cash in pocket from successful business endeavours elsewhere. They were looking for lifestyle in their retirement. God knows what they were thinking, maintaining a vineyard is hard work and a winery is all that plus several more levels of complexity on top. Hardly a sensible move for someone who wants to retire! Although the small winery licence has been around since 1992, the big explosion of licences applications for wineries started in 2012 and it hasn't slowed down much. BC has over 350 winery licences active at the moment. As I've mentioned, there is very little appropriate land left unplanted in the Okanagan and not too much in the Similkameen either. The Gulf Islands and Vancouver Island regions have a little more room for expansion. There are exploratory moves in areas further north in the dry valleys west of Kamloops and the Shuswap area east of Kamloops, but these are marginal in terms of climate. The lower heat units available mean early ripening white varieties are the main choices. Reds will be pinot noir or oddball German cross stuff like zweigelt or the dreaded Foch. Perhaps climate change will make these areas more viable. As I've mentioned, grape prices are very high here. High land costs are part of it. The other big reason is the small block sizes. Average vineyard holding here is less than 3 ha. Many blocks are broken up by ravines, bluffs and creeks. All of this means vineyard mechanisation has only happened to a minor degree because the cost of equipment can't be amortised across a large acreage, and the small blocks severely reduce equipment efficiency - too much time spent turning the tractor into another row. Most vineyards prune, leaf tuck, bunch thin and harvest by hand. Labour is fairly expensive by world standards, but the work is heavily seasonal so locals mostly won't do it. Many vineyards now rely on seasonal temporary workers from Mexico. High land prices, high grape prices, high labour costs. This is why there's no such thing as a $10 bottle of BC wine. There are wines labeled 'cellared in Canada', but they aren't Canadian wine. More on that later. BC wines start at $15-16 a bottle. The good news is these wines are very good for the money. They'll be mostly aromatic whites that haven't seen a barrel and don't need to. You'll find an excellent array of riesling, gewurz, viognier, and pinot blanc. They'll be the first release from the previous year's harvest, nice and fresh and zingy. Also in there will be some varieties you might not have heard of: Auxerrois, Bacchus, Chasselas, Chenin Blanc, Ehrenfelser, Kerner, Muscat Ottonel, Optima, Ortega, Schonburger. These are French and German cross varieties planted in the 70s for their early ripening characteristics. Almost all of them are highly aromatic and they're often blended into the lighter patio wines. The very cool climate of the mid and north Okanagan (Kelowna and north) is perfect for these light whites. They don't mind the colder winters, and the cool nights of summer preserve acidity and fruit characters. The common theme across most varieties is crisp acidity, a hint of sweetness and a lot of perfume. Perfect for a Thai curry or a stir fry with a bit of spice. The wineries are all releasing their spring whites. These are the 2017 wines that just see simple stainless maturing and are designed to be consumed in the first year of release. Their freshness is their biggest asset, the ones I've seen so far are packed with fruit and are very, well, zingy. This is where the aromatic varieties shine brightest of all. Gewurztraminer, riesling and their cohorts are bursting with energy and vitality, very appropriate for spring with all its natural energy. Also appearing now are some 2016 reds and the 2015 edition of the bigger flagship reds that have been given some bottle time prior to release. Likewise, some producers release their reserve chardonnay, pinot gris and riesling a year later than their mainline whites. The reserve rieslings don't for the most part spend any time in barrel, but the serious producers hold them for additional time in tank and then in bottle. These wines have real ageing potential due to riesling's firm acid structure. The reserve chard and gris will be treated in the classic French manner - barrel fermentation with lees stirring. Once again these wines age well and retain fruit characters better than those from warmer climates. Lots of wine events on at the moment and the official Okanagan spring festival at the beginning of May, all designed to get those new release wines on the market with some fanfare. In the vineyards, the spring is late as we have yet to see any sign of bud burst. Could easily drag into May before things kick off as it's been several degrees below average temp for all of March and April so far. What a difference a fortnight makes! The cool damp weather came to an abrupt halt and we've had two weeks of dry and warmer than normal, temps up to 26 C. Budburst was about May 1 depending on vineyard location, and with warm dry days and 15 hours of sunlight, we already have good leaf development. The sugar factory is open for business! Here are just two bottles that show Okanagan wines are world class. I had dinner a couple of nights ago at the home of Aussie friends who opened their own winery here 20 years ago. Was just a casual midweek meal, no one was going crazy on wine selections like we sometimes do. But both wines were standouts nonetheless. My mate thanked me for bringing a high end German riesling (wines were in brown bagged for interest as always). He was most impressed with the high sugar/high acid balance that brought out the lovely floral, lime and honeyed characters. And therefore very pleased to find it was an Okanagan product, doubly so at only $24. I knew right away his wine was a pinot noir but figured it came from a slightly warmer, more mature region like Willamette Valley (Oregon) or Russian River (California). It had that fine balance between red berry fruit and typical pinot funk - smoked meat, forest floor. Big mouth feel and soft tannins, what a delight with the pork medallions. So of course I was equally impressed to find it was a local wine, from one of the oldest producers in the valley. Both of these are small wineries, especially Syncromesh. They barely crack 2000 cases a year, but they sell out fast and there's a waiting list for wine club membership (since I got on board a year ago). Blue Mountain makes maybe 10,000 cases; by world standards these are tiny boutique operations and could easily be dismissed as flash in the pan standalones amid a sea of otherwise junk wine. But they're not. Both of us made quick picks from wines we've enjoyed recently that we thought the other would like. There's lots of other wines we could have chosen that would have showed equally well. We used to think the wines were very good considering they were from a cold climate, but we don't need to the qualify that statement any more. Lady Penelope, Roymond, skifree and 1 other person like this. Does the bottle-o at SP stock any of the okanagan wines? I’ve never really looked into it, but you describe some lovely drops. I'm a bit light on for red, can you send us some samples? And we need to verify your outrageous claims of goodness. All in the spirit of peer review and so on of course. Lady Penelope and Roymond like this. I have successfully done so for many years! Yes there have plenty of Okanagan wines there. Doubt they'll have either of the two I pictured, but the thrust of that post was that the quality level is very high across the region. 30 years ago, the imminent NAFTA agreement put the writing on the wall for Canadian producers: you can't compete with the Americans for price because of their vast plantings, easy climate and abundant cheap labour. Therefore it was accepted by all that the only way to compete was not on price but on quality. That precipitated a complete turnaround for the industry, turning them from volume-driven grape farmers who cared nothing for quality into small estate wineries where quality was everything and modern techniques and varieties were critical. The change has been nothing short of miraculous, moving from a novelty region where icewine was the headliner to a still small but very quality-focused world class region whose Pacific northwest neighbours are envious of the overall high standards. Now a word of caution to those arriving for the upcoming winter season. There is a nasty class of wines out there called "Cellared in Canada". Not nasty tasting, but nasty because they're misleading. The big three winery groups continue to successfully lobby the government to permit these anything but Canadian wines to be made and marketed. Simply put, they buy bulk finished wine from anywhere on the world market, bottle it and label it with the legally-required "Cellared in Canada from imported and domestic wines." So it probably doesn't have a single drop of Canadian content, yet a quick scan of the label will quickly pop up the word Canada, so consumers think it's local. The rest of the industry is frustrated with government for continuing to allow this misleading situation to continue, as it is surely bad for the reputation of the national wine producers at large, but it's so profitable that the big guys continue to pump it out and vigorously resist any attempts to abolish this category. The Canadian wine industry has established a system called VQA (Vintners' Quality Alliance) to provide an assurance of quality and origin to producers as a response to the Cellared in Canada situation. Any wine with BC VQA on its label has been through an audit process designed to assure consumers that it comes entirely from grapes grown within BC or one of the recognised regions within the province. Each wine was submitted to a tasting panel that assessed its freedom from technical faults and adherence to varietal characteristics. This latter became so subjective that it was dropped several years ago. VQA also legally owns the term Icewine so they have a detailed set of technical requirements and tasting criteria to be met. To complicate matters further, the big wineries also belong to VQA and have numerous wines they submit and pass for VQA labeling. They will unscrupulously have two wines with the same branding, one VQA, one Cellared In Canada. 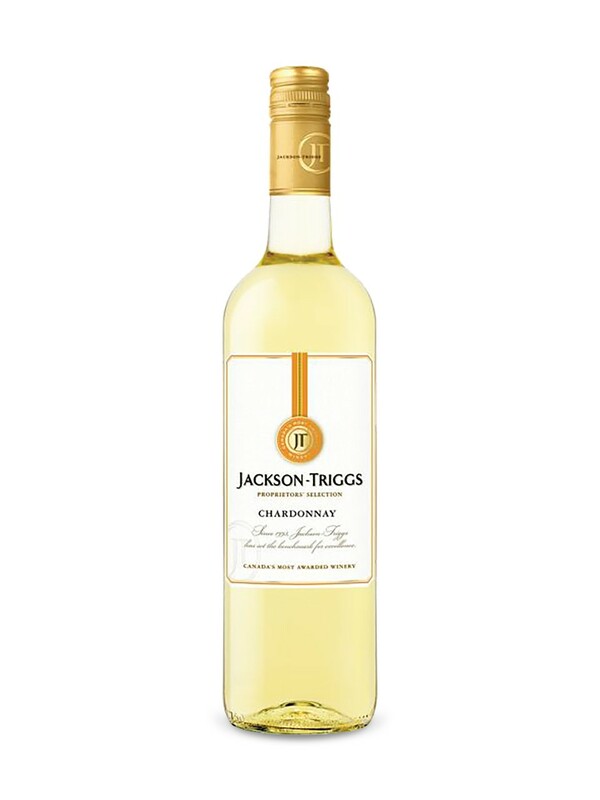 Here's one you'll see in lots of shops all over the country, Jackson Triggs. The white label is Cellared In Canada. The black label is VQA. This one is a Niagara but they have a BC VQA version too. Pretty easy to miss the small VQA lettering and just grab the white label instead because it's $4-5 cheaper than the black label. They have every varietal you can think of in this cynical "one brand/two label" lineup. So just remember if you want to try a BC wine from JT, you have to get the black label or it could be from anywhere but Canada. Lady Penelope and bigwhite-rameok like this. I guess a word on icewine would be appropriate. It's what first got international attention for Canadian wines, even though these days it's just a tiny portion of production and the focus is very much on the table wines. Icewine is a dessert wine produced by directly pressing grapes that have naturally frozen on the vine in early winter. The water in the grapes freezes before the sugars and acids do, so the water can be easily discarded in the form of frozen grape pulp, leaving behind a tiny quantity of highly concentrated juice. The rules say the grapes must be picked at -8C or colder, although most wineries will wait for even lower temperatures as this results in more concentrated flavours and sugars. The fermentation process is slow and tricky, as most yeast strains can barely survive in very high sugar levels. It's not uncommon for ferments to take 3-4 months to complete, and usually the process grinds to a halt at about 10% alcohol despite there still being ample sugar remaining. This of course is why the wines are so sweet: only half to two thirds of the original grape sugars have converted to alcohol. You can see that the emphasis is on natural production. Icewine, of all the dessert wine styles, has the least deviation from natural grapes. Port and sherry have added alcohol, Sauternes and other botrytised wines have been affected by mould, Madeira is held at elevated temperatures for months, grapes destined to become Vin Santo and Passito wines are picked and deliberately dried to concentrate the sugars. Icewine is the closest of all the dessert wines to the original essence of the grapes from which they were made. The aromas and flavours are dominated by fruit characters, highlighted by concentrated acids and sugars. The acidity is a key part of the experience: it brightens the fruit flavours, allows the wines to age for years, and prevents the wine from becoming cloying because it balances the otherwise overwhelming sugar levels. My tip for a food match if you decide to try an icewine is to go with more fruit. Something simple like a dessert featuring pears or apples in winter, or fresh berries and stone fruits when they're available. Even better is to have icewine with a small cheese and fruit selection. The cheeses have to be strongly flavoured to withstand the intensity of the icewine. I go for blue cheeses and rich hard cheeses (aged cheddar, pecorino, Parmagiano Reggiano). Mild stuff like Jarlsberg, Havarti or Gouda will disappear next to the wine and disappoint. If you're a chocolate lover and the only dessert for you is chocolate, then you need to find a red icewine, preferably cabernet franc as it's the richest and burliest. Still better to keep good chocolate to have with good port IMHO. Finally, icewine seems expensive. A 375 mL bottle is going to cost you somewhere from $50 to $80 in a bottle shop, and considerably more in a resto. Consider though, that the winery could make five 750 mL bottles of dry riesling from the grapes needed to make that single half bottle. At typical white wine prices, that's about $80-100 in revenue they could have taken if they'd gone the table wine route. And without the risks and hassles of the icewine process: protecting grapes from bird and animal pests for many additional weeks, losses from wind or fungal attack, picking in the dark and biting cold, fluky uncooperative fermentations that sometimes stop and have to be re-started. So it could be considered that icewine is a bit of a bargain in many ways! Most producers also bottle it in the 200 mL size so you can get a taste without digging too deep. Highly recommend you try this unique wine style when in Canada, the world's largest producer (75% of it from Ontario). About the only other places that make the real thing are Austria and Germany, although the Americans are starting to make some in the Great Lakes states. It will be refreshingly different from any other dessert wine you've ever had. I need a whisky after reading all that. Fair call. I'm having a beer myself. Except it’s 730am here, think I’ll go skiing instead. Now to confuse matters a bit. (Anything to do with alcohol in Canada is complicated and confusing. Don't complain, you should have figured that out by now). I talked about VQA as a guarantee that the wines are sourced from the Canadian region on the label. The system works OK, but as the number of producers has multiplied so quickly, there is a very wide spectrum of personalities in the industry and, unsurprisingly, they don't all agree on what VQA should mean in its third decade. The program is optional, and many small producers don't see the value in it. Some of the very best wineries in the Okanagan don't bother with it; the Blue Mountain and Syncromesh wines I posted aren't in the VQA system, but their grapes are very proudly local product. It's not too hard to spot the good stuff. 1. Just look on the label, toss anything that begins with "Cellared in Canada..."
2. Find the words "Product of Canada". You're good to go! Bringing in dodgy grapes or wine from outside Canada is too tricky for scammers to bother with, they just do it legally (see Step 1). 3. If it says VQA Okanagan Valley, that's good. VQA Similkameen Valley is good too (valley to the west of the Okanagan, equally hot and dry). But not essential. I just ring my mate Charlie at Chatter Creek and ask what wines should I buy. He's out here soon to do the rounds of our Australian vineyards. No doubt there'll be some cases shipping back to Field. Maybe I need to get your number as well Sly. Finally, icewine seems expensive. A 375 mL bottle is going to cost you somewhere from $50 to $80 in a bottle shop, and considerably more in a resto. And probably moreso at the airport. But it was a handy way of using up the last of my Canadian banknotes just before departing YVR last year. Great thread. I will be referring to it diligently when we next travel to Canada (2020?). skifree and sly_karma like this. Harvest is on now. Lovely early fall weather, mid single digits overnight, low 20s in the day. Excellent ripening conditions. I'm hearing of fewer vineyard issues from the smoky month of August compared to last year. Lady Penelope and skifree like this. Tonight's dessert (following surf n turf dinner). Big marmalade bomb, was perfect with vintage cheddar. Winery must be running out an old vintage, picked this up today for just $33. Acid was good, was not over the hill at all. I will head back there tomorrow and buy whatever they have left. DPS Driver and Lady Penelope like this.